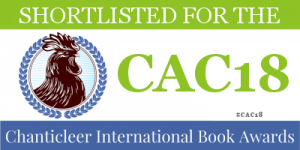 The trouble with having procrastinated my recap of the Cat Writers’ Association Conference for so long is that those CWA members who delivered their blogposts in a more timely manner have already said it all: how amazing the conference was this year; how helpful the networking; how interesting the presentations; how fun to go to El Gato cat café for a book signing and fur fest; how humbling to win the prestigious Muse Medallion awards; and finally how wonderful it felt knowing we’d made real connections, real friends. Since I can only elaborate on things already mentioned by those who didn’t wait two weeks to blog, I’ll take a different approach and talk about a few things that stood out to me. This year the conference was structured differently than in the past, with a single track of presentations, breaks, meals, and networking. The obvious result of this format was that no one had to pick and choose which event to attend and no one missed anything. The more subtle result was an atmosphere of calm and unhurriedness which I found conducive to listening, learning, and sharing among the group. Over the time spent at the tables, we got to know each other. For me, someone not so good at multi-tasking, it made for a more intimate setting without that frenzied feeling of just trying to remember everybody’s names. 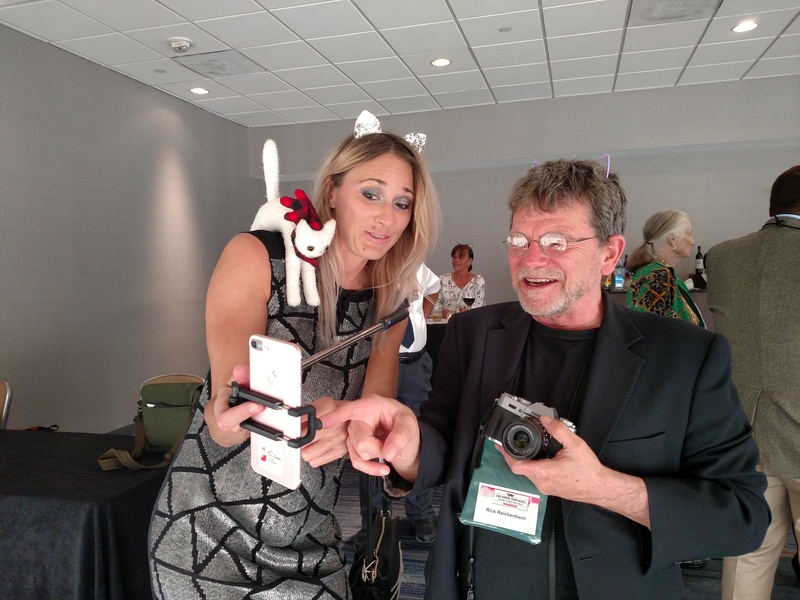 Our keynote speaker, the charismic and intelligent Dr. Marty Becker of Fear Free Pets, was wonderful, as were the other presenters, but I personally got the most useful information from Rick Reichenbach’s “Cat Photography Made Simple”. If you’re like me, or maybe I should say, if your cats are like my cats, every time I get out the camera, they either come straight toward me or plop down and lick their tail parts, so I was very interested in what Rick might have to say, especially the “made simple” part. The lesson did not disappoint. Rick was a skilled and effective teacher, and I came away with new, easy-to-implement ideas for how to get the best photos of my cats. Rick’s book, How to Take Beautiful Pictures of Your Cat: A Step-by-Step Guide to Cat Photography, is available here. 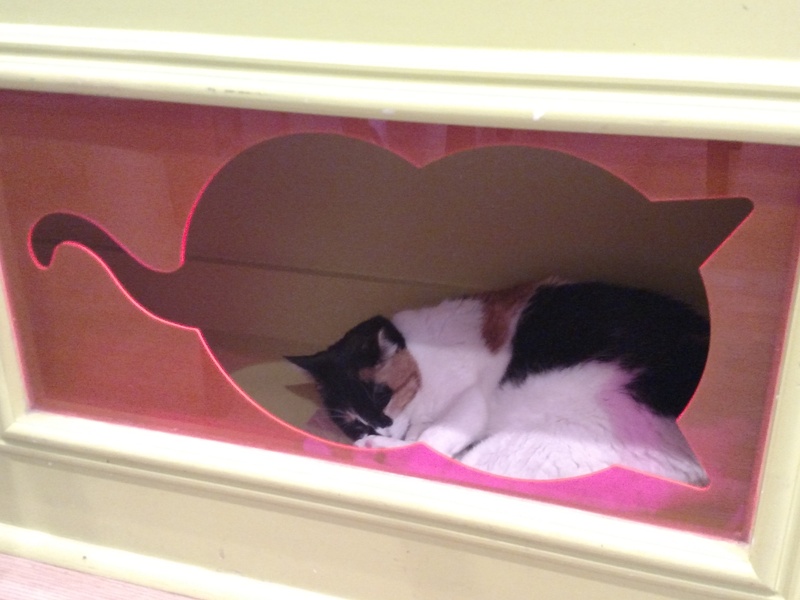 Who doesn’t love a good cat café? 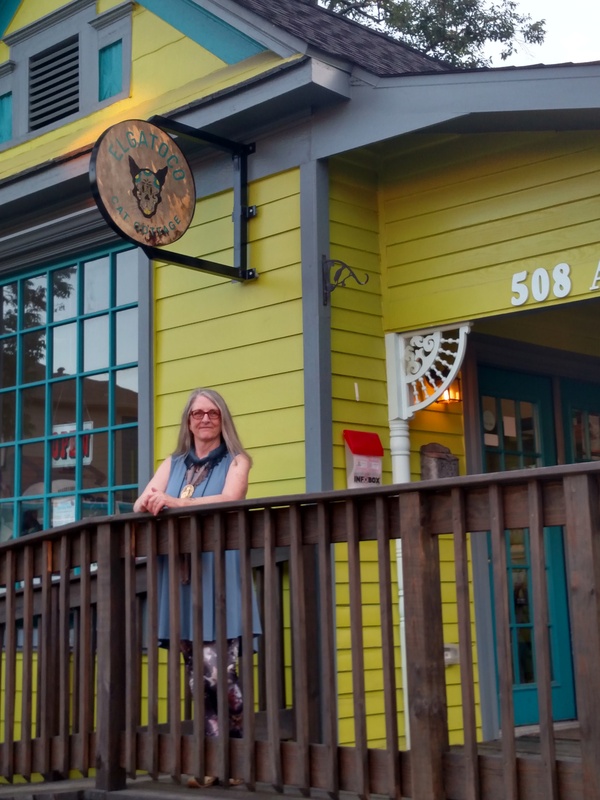 El Gato Coffeehouse in Houston, like many cat cafés, is a one of a kind. 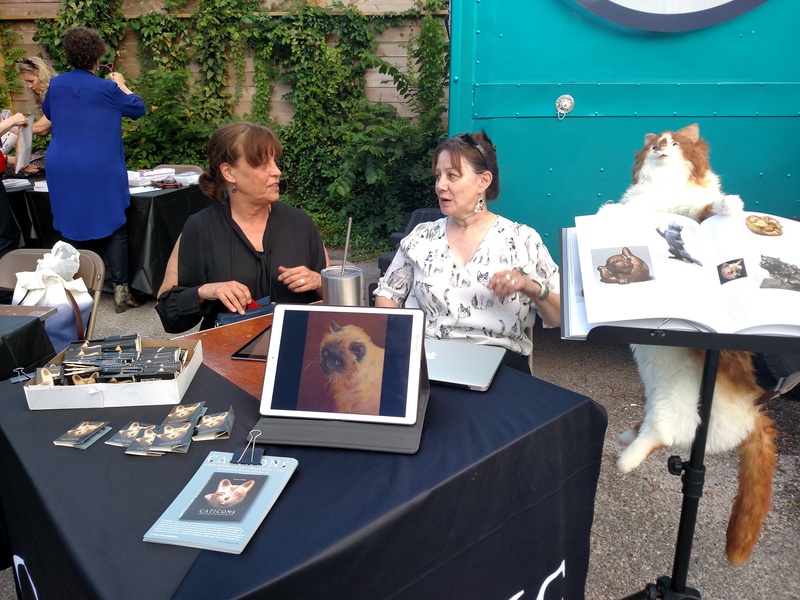 El Gato partners with Friends For Life No Kill Animal Adoption & Rescue Shelter that supplies the cats who inhabit the “Cat Cottage”, a fixed-up older house in a residential neighborhood of Houston. 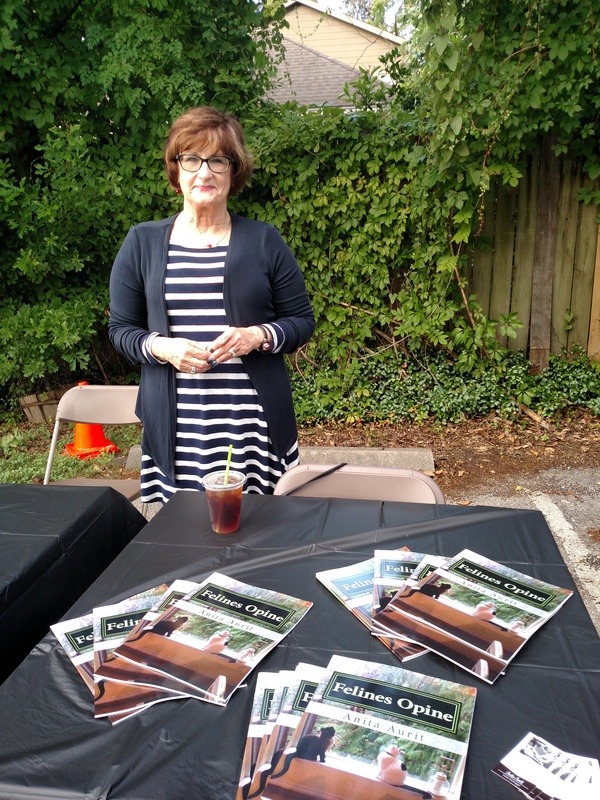 CWA had been invited to sell our books in their parking lot on Friday evening. It was hot, of course, being Houston in June, but the gravel lot was shaded by big trees and a breeze cooled it comfortably. 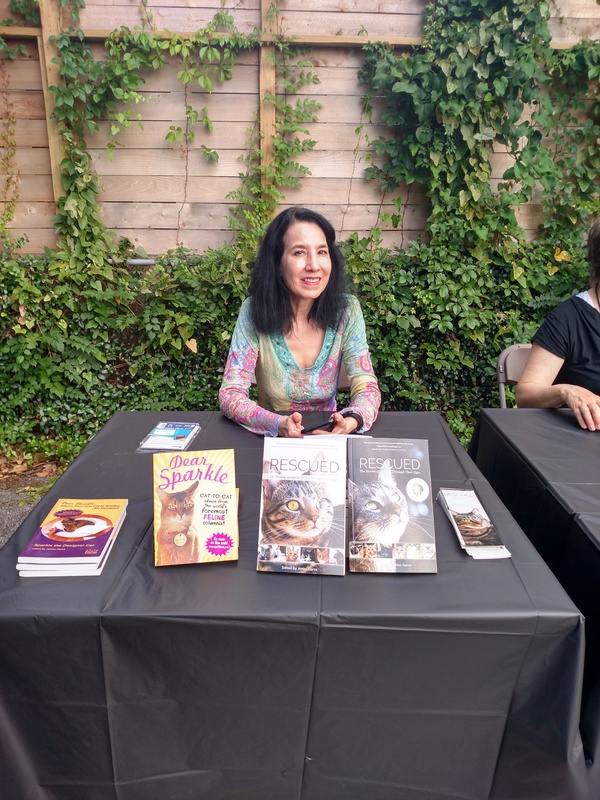 Each of the several participating authors had a nice big table to show off their books. 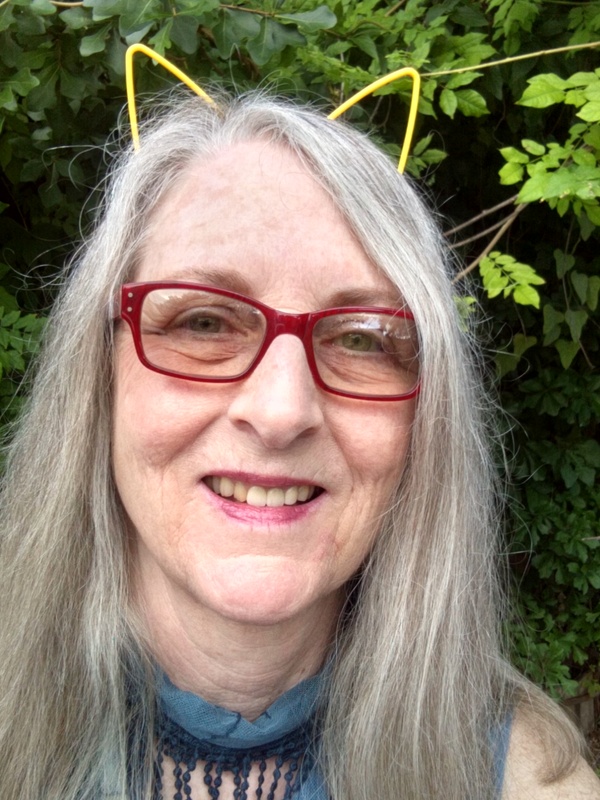 We were even supplied with cat ears upon request. 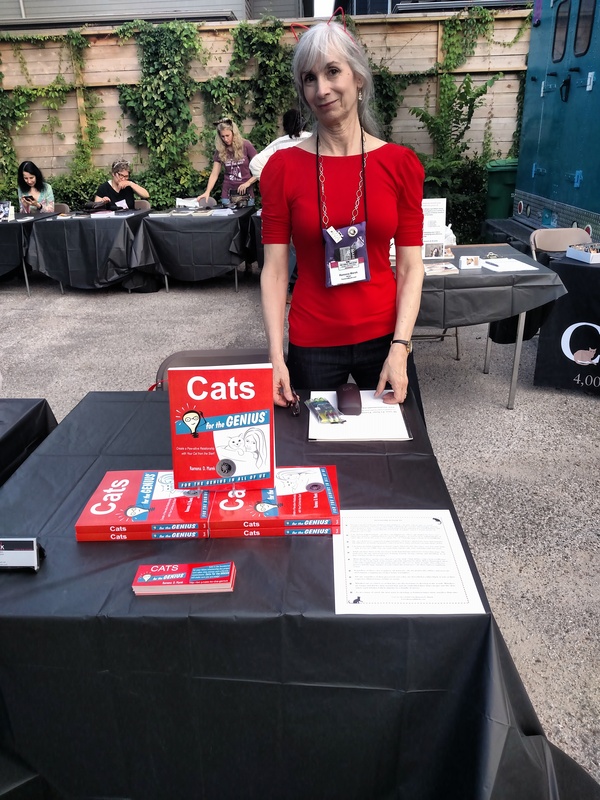 Though I doubt any of us sold a ton of books since the event hadn’t been widely publicized, it was great fun, and we all got time to spend with the cats in the cottage. 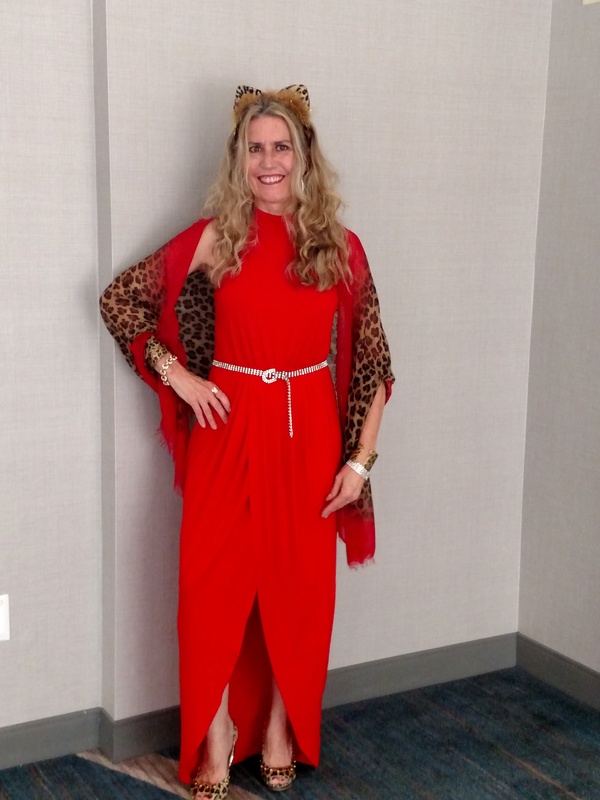 I can’t get away without a nod to the Awards Gala, where everyone had a chance to show off their finery, cat themed or otherwise. 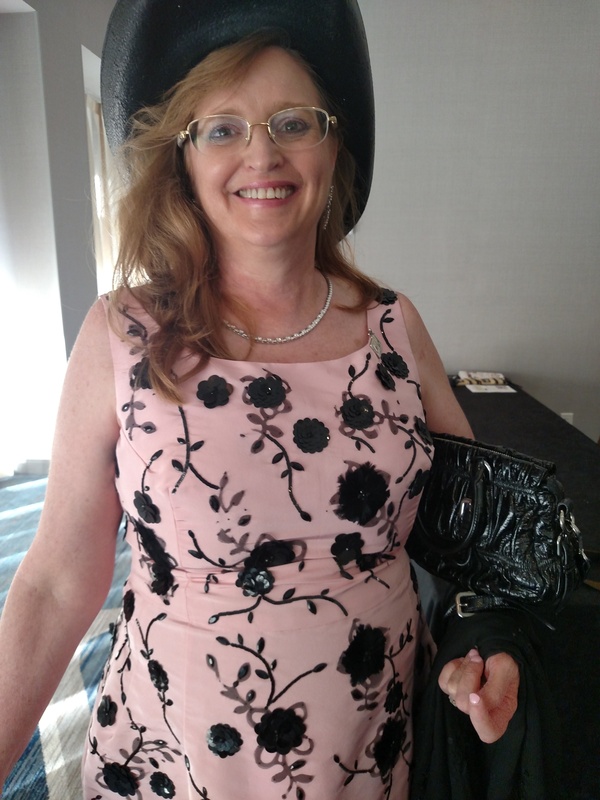 We enjoyed a cocktail hour chatting and watching the parade of finery. I thought the buffet dinner was excellent, and they didn’t run out of desserts like all too many catered affairs. 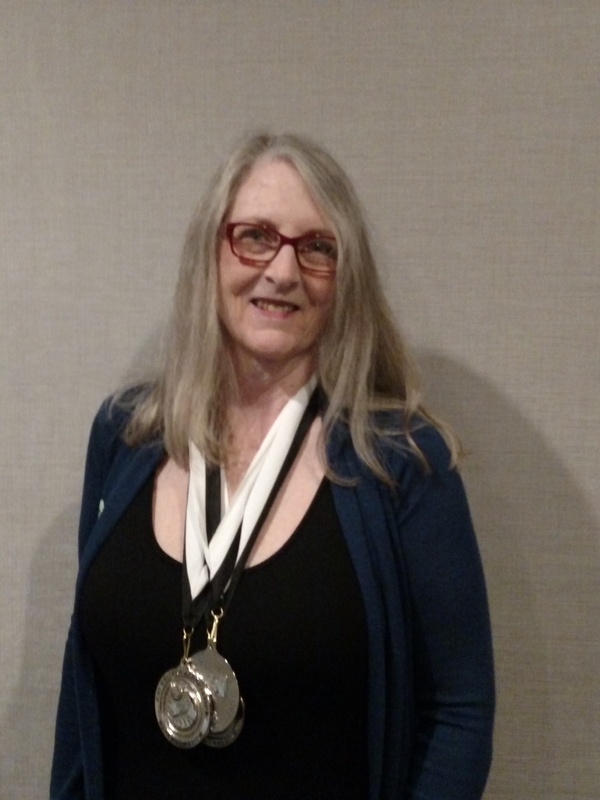 Then came the awards themselves. 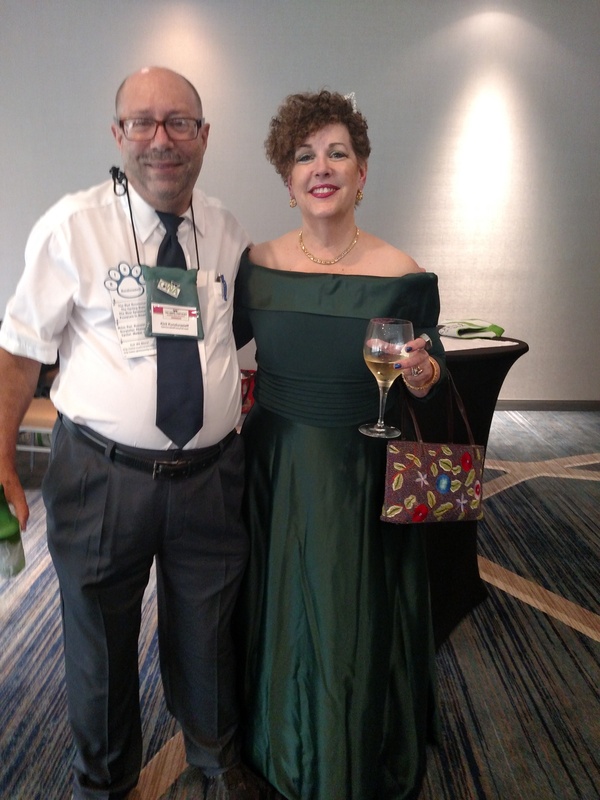 There is so much more I could write about— the cat show, the informal get-togethers in the bar, the swag bag stuffing party and the swag itself (my cats are still getting surprises from that big green and white bag)— but I don’t want to turn this post into a tome. Instead I’ll finish with a huge thank you to everyone who made the conference possible. 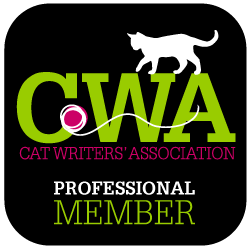 Note: If you are a cat writer, blogger, photographer, poet, artist, or anything else creative that has to do with cats, consider joining the Cat Writers’ Association, and be part of something that really works! 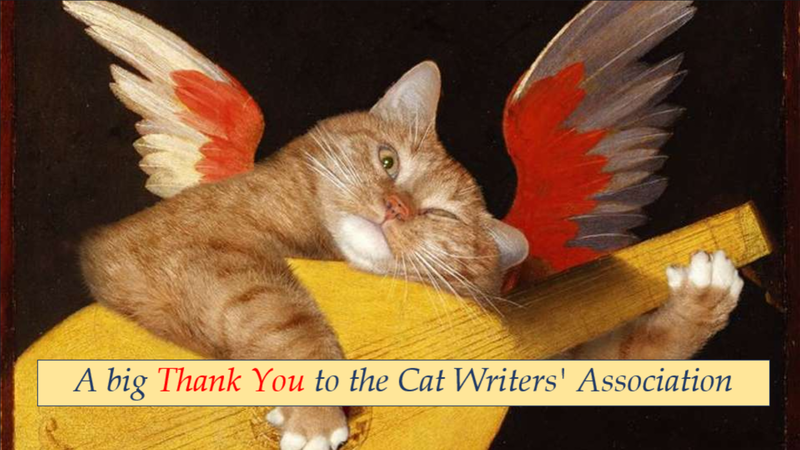 The 2018 conference of the Cat Writers’ Association was made possible by the generous support of our Sponsors. Thank you. We are so very grateful to you all. 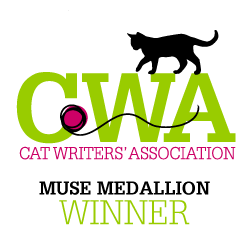 This entry was posted in CAT WRITERS, Crazy Cat Lady Mysteries & More, Writing and tagged #catwriters, #catwritersassociation, cat cafe, Cat Writers' Association conference 2018, Cat Writers’ Association, El Gato Houston. Bookmark the permalink.